Japan Wild Winter Hokkaido Photo Tour. Small Groups Max 8 People Per Tour. Photography is an adventure with no boundaries. ….start your wildlife adventure here in Japan. The amazing Japan Hokkaido wildlife photography workshop and photo tour !! Thank you for a GREAT trip! Your tour was amazing! Most importantly, you got us unbelievable photo ops throughout the trip and your expert instruction helped us make the most of them. (Let me add that this is a critique from an art teacher of 30+ years.) I left Japan a much better wildlife photographer than I arrived! Additionally, the tour was exceptionally organized - attention to detail was very apparent. The arrangements for lodging and travel were made with our comfort in mind - single accommodations were a welcomed bonus! You hold yourself to very high standards and we benefitted. I’ve since had the opportunity to compare your tour with other photography tours. You’re exceptional! We received much more than we paid for!! I wouldn’t hesitate to highly recommend your tours! The photo opportunities on this tour were superb. It was really great that we had multiple days to shoot at the locations. It gave me plenty of time to improve on my wildlife photography techniques, to understand what kind of images I wanted and to be able to have multiple opportunities to get just the right shot. The small group was a positive factor in the experiences we had. Thank you. A very big Thank You to Ade. The Sea Eagles were amazing !!! Excellent photo tour. Nous sommes ravis d'avoir choisi AdePHOTOGRAPHY pour ce périple au Japon. C'est un workshop entièrement dédié à la photo animalière, parfaitement organisé, bon choix des hôtels. C'est très dense, pas de temps de perdu avec des allers/retours à l'hôtel qui coupent la journée, on se débrouille pour manger le midi sur place et donc profiter au maximum de la journée et de la photo. La taille du groupe limité à 8 était parfait, ADE est un excellent guide qui connaît parfaitement le terrain et les habitudes des animaux. Il est à tout moment disponible pour chacun de nous avec des conseils sur la prise de vue ou de l'aide en cas de souci technique ou de matériel. Snow monkeys, grues, renards, cerfs, cygnes chanteurs, nous avons bien rempli nos cartes mémoires. C'était juste top. This tour was well organized from the planning phase to the end. Ade is most helpful in every aspect of the tour and I truly enjoyed the adventure, accommodations and mostly the photo opportunities. I took over 19,000 photos on a 9 days tour which is a record for me. I highly recommend Ade to anyone who want to take great wildlife photos in exotic Hokkaido. This was a very good photo tour . I traveled to Japan alone, but the small group made it very easy get to know and make friends with all the guests on the tour. Now , standing in the cold and snow with at least 4 layers of thermals and 2 sets thermal socks at 05:30 was a first for me !! but the results prove Ade's aim is to ensure you leave Japan with some very good photos. This tour exceeded my expectations and it's clear this was due to two main factors - the amount of preparation Ade put into preparing it and his priority being that his clients leave Japan with great images. The itinerary is well balanced, providing lots of opportunities not only to see the different wildlife of Hokkaido, but to experience it in diverse conditions and improve on images throughout the tour. The small group size helps make the most of the energising remoteness of Hokkaido and whilst the tour itself is far from relaxing (lots of early starts and long days), I left it feeling energised and more appreciative of the culture and wildlife of Japan. Thanks Ade! Very well organized, very satisfied with the photo tour and locations. Excellent photographic instruction in the field and Ade gets you to the places for the best opportunities. 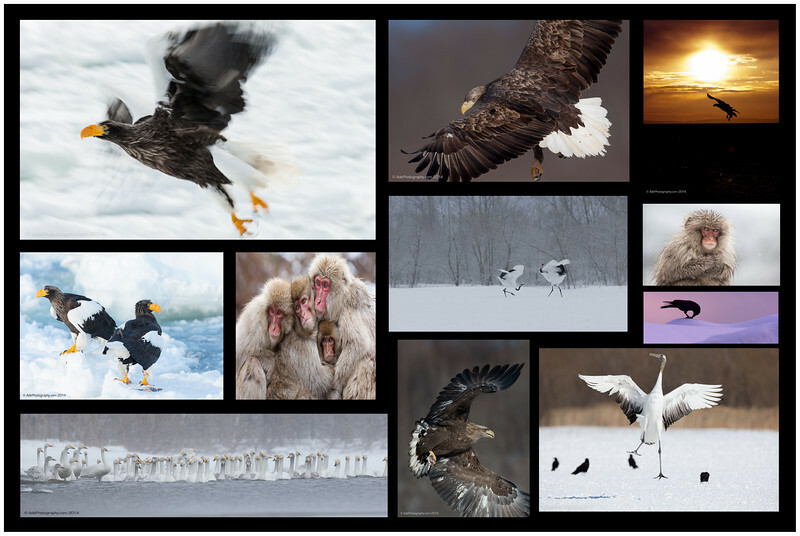 I would highly recommend Ade and his Hokkaido Winter Wildlife Photo Tour. "The workshop was outstanding, and I definitely recommend it for people of any level of experiences in photography. It was well-organized, and there was an indoor session in the evening covering knowledge on photography"
Visiting Japan had been on my "To Do" list for some time, but I am so glad I waited to join this tour.. I had never photographed in the snow before, but with Ade's guidance and patience I came home with photos I could have only dreamed about. Snow monkeys , cranes, ducks , eagles all just amazing. Thank you for a wonderful time. Delores . Little Rock, Arkansas USA. This is a 100% focused wildlife photography tour that delivers ! The early mornings and the freezing cold don't make this a holiday, but the photo opportunities are worth every minute standing in the cold. Nice one Ade. For me this was a completely new experience. I am a hobby photographer for quite some years but I have learned enormously on this fantastic wildlife photo safari tour. The group size was small and perfect. Ade was a very professional guide and a fantastic photographer. His knowledge on the best spots around was more than excellent. I am looking forward doing other photo trips with him. Thanks again for giving me this wonderful experience ! A BIG congratulations to Ade and Anette who made this trip so wonderful! Their continuous encouragement and help with my photography was greatly appreciated, despite the fact that I wasn't always coping with the cold conditions. The wildlife that we experienced on the trip was truly outstanding against the spectacular scenery of Hokkaido and far surpassed what I had imagined we might see. The quality of the hotels and the small group of fellow photographers (thank you for being such a great group to travel with!) made this a really comfortable and enjoyable trip. I would definitely recommend Ade Photography! Thank you again for a fantastic photo tour! Come join us on an amazing photo tour of the very best of Wild Winter Japan. Our tours are tailed to provide maximum photographic returns, we run small groups ( max 6 - 8 guests ), these small groups afford a higher degree of flexibility with plan changes during the Photo Tour, when possible we are able to spend as much time as deemed required per location if something captures our interest. we travel through truly breathtaking scenery to some of the most amazing wildlife locations in Japan, giving you the opportunity to witness the drama of Japan winter wildlife and capture stunning images. Witness the amazing love dance of the majestic Red-Crowned Cranes, graceful Whooper Swans, the aerodynamics display of the Seller’s Sea and White Tailed Eagles, kleptomaniac Ravens and to top it all serendipitous encounters with Ezo Deer and Northern Red Foxes. Come see Japanese macaques ( Snow Monkeys ) as they enjoy the warmth of a geo thermal pool high up in the mountains of Jigokudani, Nagano. Be amazed at their uncanny human like features as they brave the cold elements and huddle together for warmth. The Majestic Red-Crowned Cranes ! Witness and capture the amazing "Love dance"
With Speacial Guest Wildlife Photographer Guy Edwardes. Tour Now Fully Booked ! Guy Edwardes has been a professional nature and landscape photographer for over twenty years. He supplies several leading picture libraries and has been awarded in both the Wildlife Photographer of the Year and Landscape Photographer of the Year. Guy runs over thirty photography workshops each year all over the globe and his favourite locations are the cold, icy and snowy places, like Hokkaido ! If possible you should book your flight to arrive at Haneda International Airport. Early domestic flight to Kushiro - northen part of Japan, where we meet our driver and head out to Akan and thus the start of our 12 day Hokkaido photography adventure . We spend this day and the following three days photographing the Red-Crowned Cranes in locations around Akan and Kushiro, if we are lucky we will also encounter Black Kites , White Tailed Eagles, Foxes and Ezo Deer. Photographing the Red-Crowned Cranes in and around Akan and Kushiro. We spend the early morning photography various Sea Eagles in various locations in Nemuro, this is an excellent opportunity capture these amazing birds in flight and with some very good chances of aerial and on the ice combat. Another amazing morning with the Sea Eagles photography, by mid day we make our way over to the Airport. The Tour ends at Haneda Domestic Airport. We say our farewells and then depart for our respective transfers to Narita / Haneda International Airports. Difficulty level: Easy – Moderate. Climate: Cold to Very Cold. 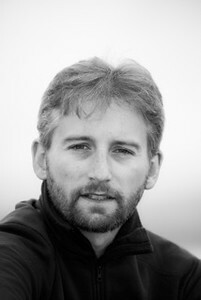 His work has been published in wildlife magazines, books and newspapers. It is imperative you ensure your flight arrives in Tokyo at least a day before the start of the tour. We are able to assist with pre and post tour accommodation bookings if required. What Do You Need For These Tours ? •	Love to travel and a passion for wildlife photography - All level welcome - Newbies to Guru ! •	At bare minimum a camera ( film or digital ) and a telephoto lens . Note:: A long range 300 - 600mm telephoto lens is ideal for this tour. •	Thermal clothes , Gloves, and Thermal boots - It will be very cold .. Trust me ! During the tour , the average temperature in Hokkaido will be in the single low digits and sometime well below freezing , while Nagano will be in the mid 10's range . The early morning and evening being the coldest time of the day. Paypal or Bank Wire Transfer instructions will be sent upon completion of the online booking form. •	All accommodation and meals ( BLD - see schedule ) during your tour. •	Flights from Tokyo Haneda airport to Hokkaido and back. • Internal bus ( Chartered ) transfers within Hokkaido and Nagano for the entire trip . Ample space for all ! •	All location admission fees / cruise boat fees. •	Your flight / transportation cost to / from Narita International Airport. •	Your flight / transportation cost to / from Haneda Airport. •	Hotels costs while traveling prior to the start or after the Photo Tour. • Costs of meals / beverages on Arrival Day 0 . •	You are advised to schedule your arrival a day before the start of the Photo Tour, this not only reduces the impact of any international flight delays, but also enables international guests to sleep off any jet lag - Assistance with this additional booking is available , please make this know at the time of your tour booking. •	Single room accommodation for the entire tour. You do not need to share your room at any location . • Double / Twin rooms are available upon request. Your insurance should cover but NOT limited too the following - Medical , Travel , Camera equipment , in addition to any other areas you deem required. Please seek professional medical advice from your Doctor/GP/Physician on your intention to travel to an area of extreme cold . Vaccination might be required prior to travel !! Will we be traveling in rural Japan , where little medical facilities will be available, please ensure you bring any needed medication along. •	Participants with any form of breathing difficult or health issues in environments with extreme cold are advised to seek medical advice before booking a place on this tour .